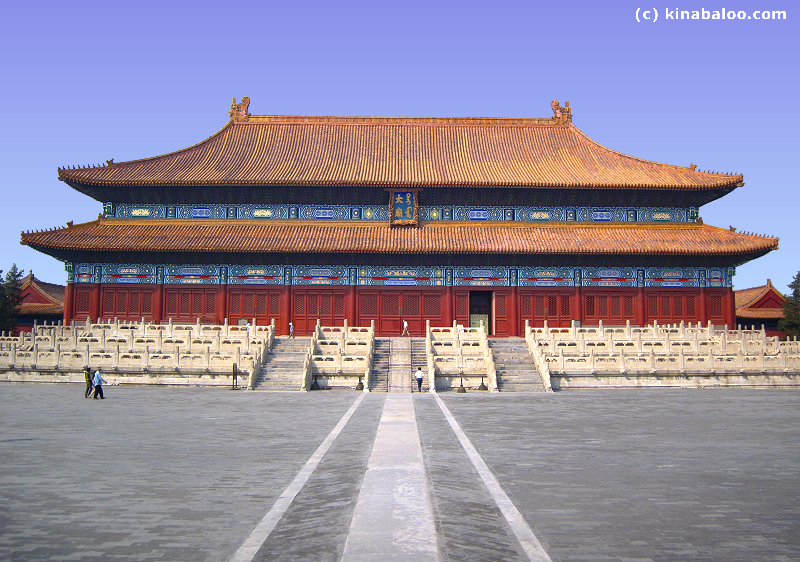 The Beijing Working People's Cultural Palace lies to the east of Tian'AnMen Gate, symmetrically opposite ZhongShan Park. 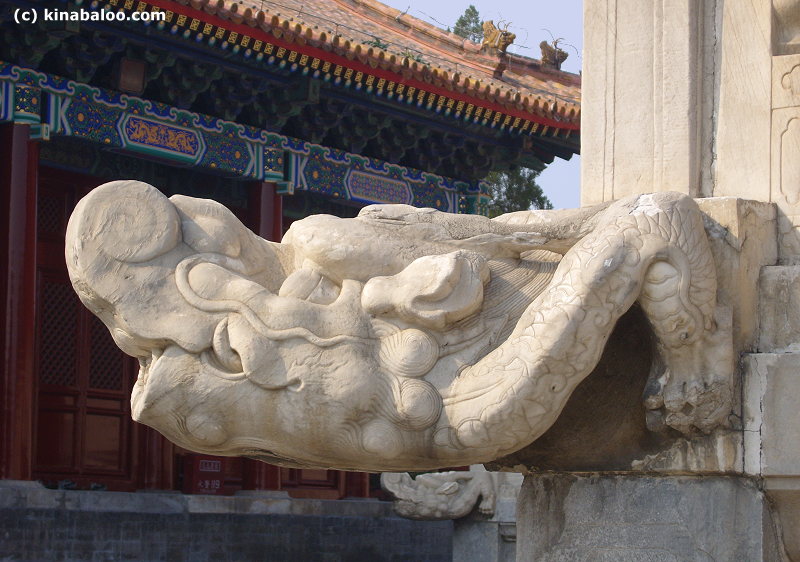 These two parks sit each side of the grand walkway from Tian'AnMen Gate to the Forbidden City. 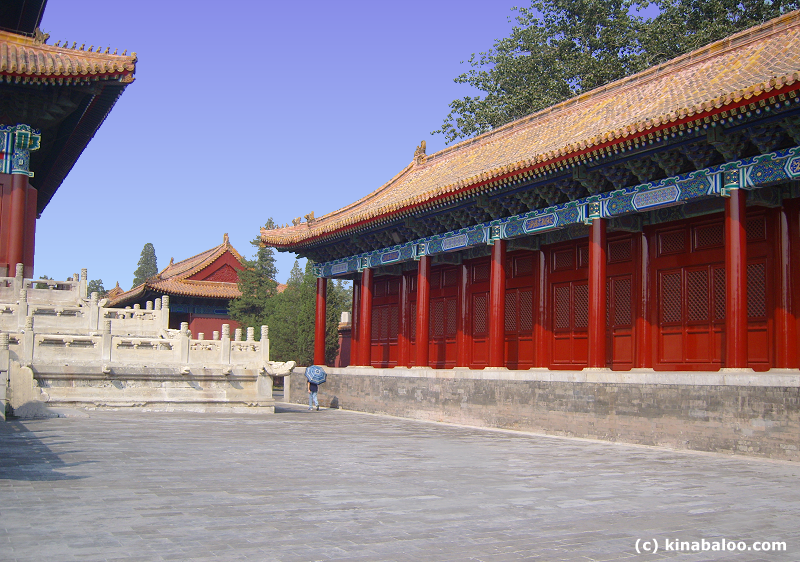 They were first constructed in 1420 as part of the Imperial City along with Forbidden City. 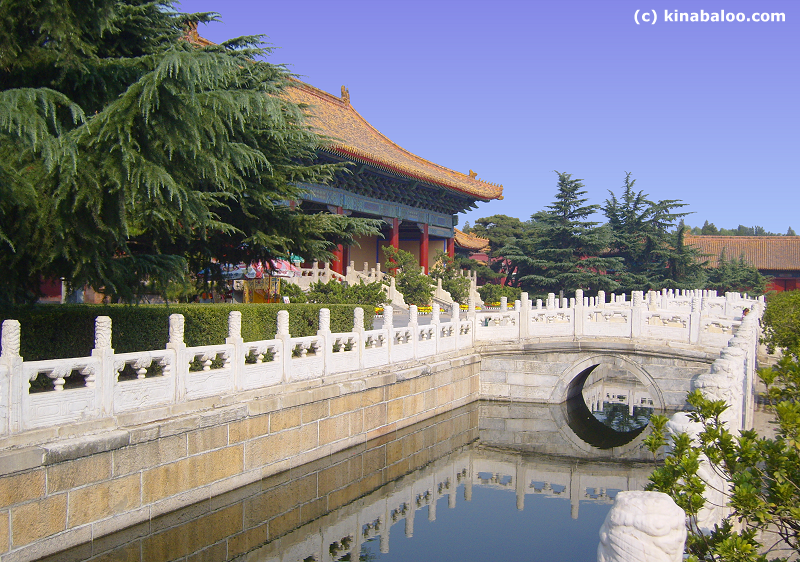 ZhongShan Park is primarily the site of the Temple of Grain and Harvest. The Working People's Cultural Palace is primarily the site of the Imperial Ancestral Temple (TaiMiao). The central walled section consists of three magnificent halls, each with its own auxiliary halls, and with the entrance at the south as was the tradition. Surrounding this inner section are many pine and ancient cypress trees. On entering one first comes to seven exquisite stone bridges spanning the Golden River (JinShuiHe) then a gateway that leads to the three main halls. The main hall, the largest of the three, is the first hall - the Hall for Worshiping Ancestors. It has a double-eaved roof with golden glazed tiles and rests on a three tier, 3.5 meter high white marble platform. It is five bays wide (68 meters), 30 meters in depth and 32.5 meters high. Its wooden components are made of the exquisite nanmu wood. 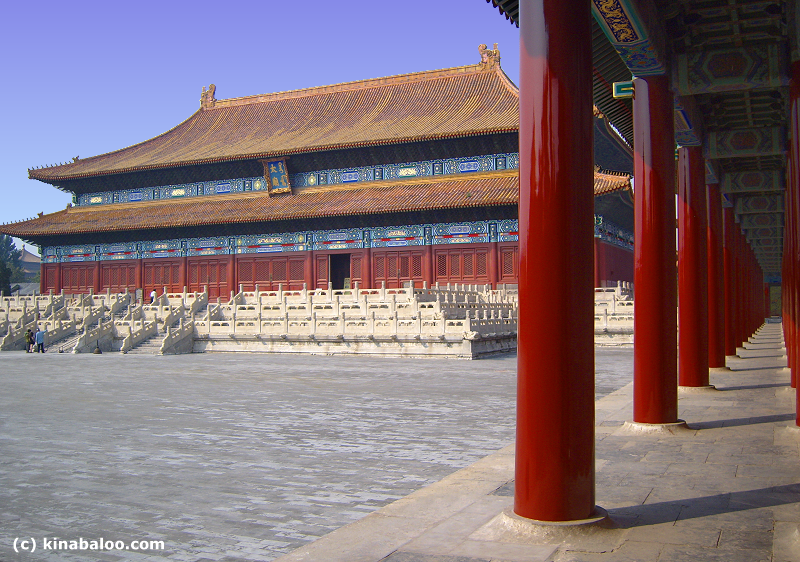 In front of the hall is a grand courtyard with long pillared corridors enclosing it on each side. 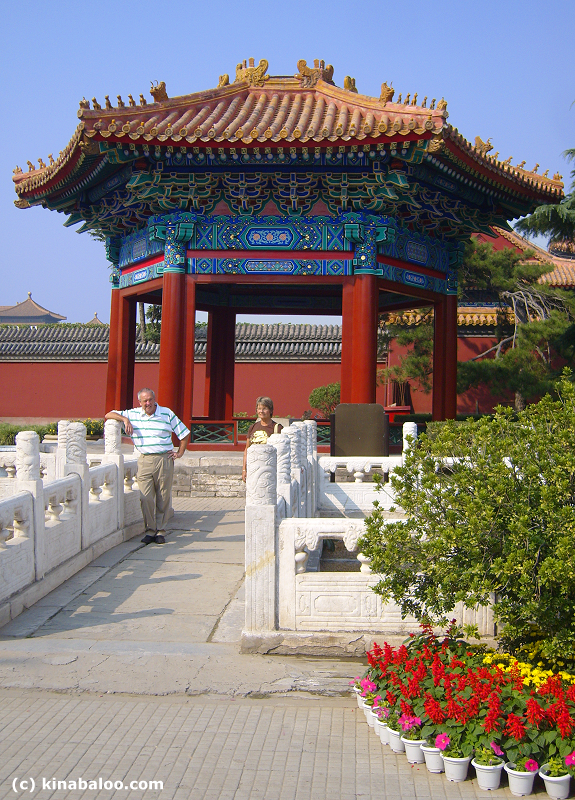 In 1951, this site was renamed the Beijing Working People's Cultural Palace. 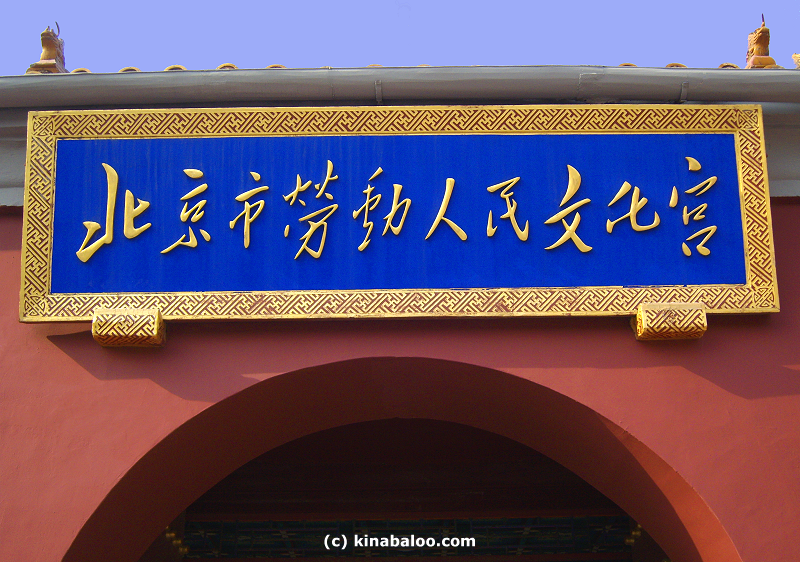 On its main southern entrance gate hangs an inscription of its name written in Mao ZeDong's handwriting style. The idea was to use the space for educational and recreational purposes for the workers. 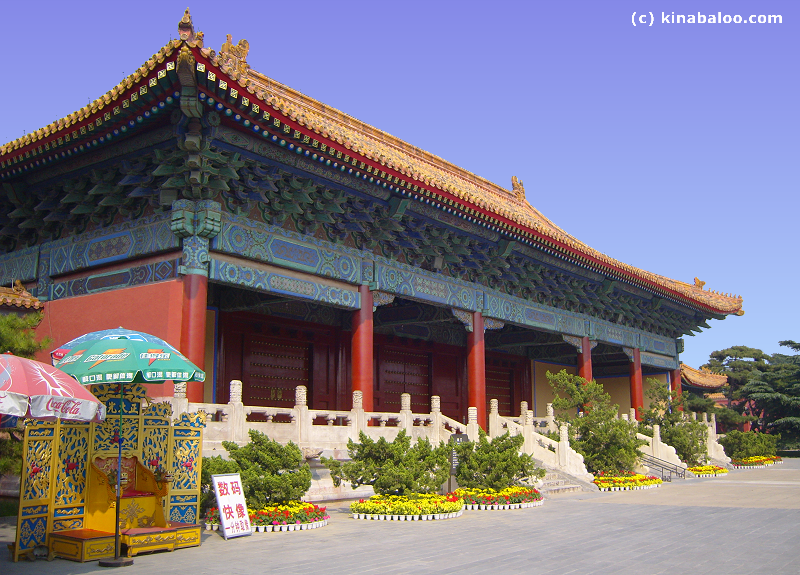 Happily, the grand Ming architecture at its center remains and was renovated in early 2007. 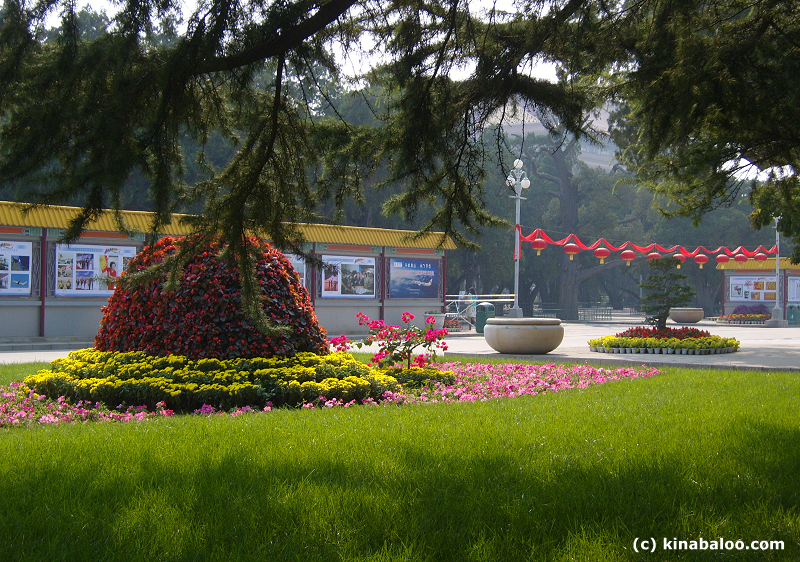 The park covers an area of 200,000 square meters.